With Tigger starting pre-school recently I have found the leap between a day nursery environment to a structured school one a refreshing change. It does however mean that I need to be more organised during the week, making sure that I remember all of Tigger’s activities as well as remembering what Roo is up to too. Tigger currently attends the pre-school five mornings along with three lunchtimes and afternoon sessions (on the days I am at work). The school actually recommended that he attended every morning as otherwise attending three full days he would miss out on the activities that they have planned on a Tuesday and Thursday each week. 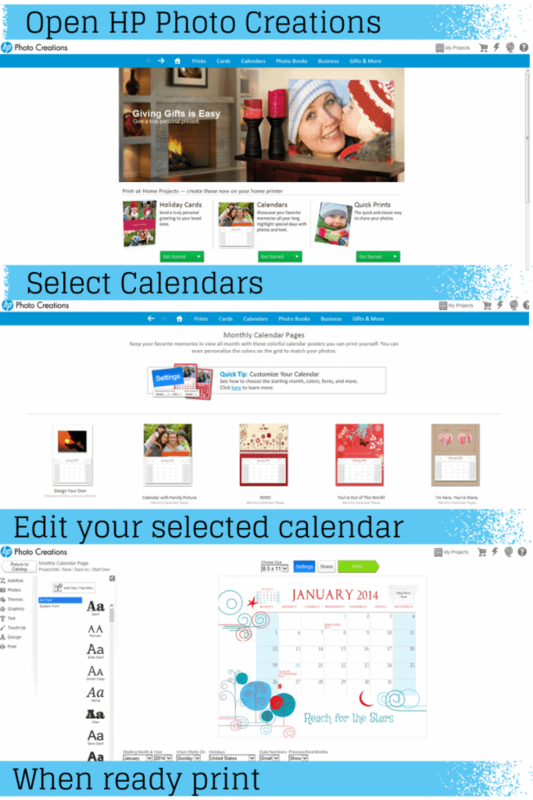 So whilst I was on my laptop earlier this week a pop window appeared in the bottom of my screen from my HP Photo Creations studio saying about making your own calendars. ‘Make my own calendar?‘ I pondered to myself, I wonder whether this would help me be a little more organised. 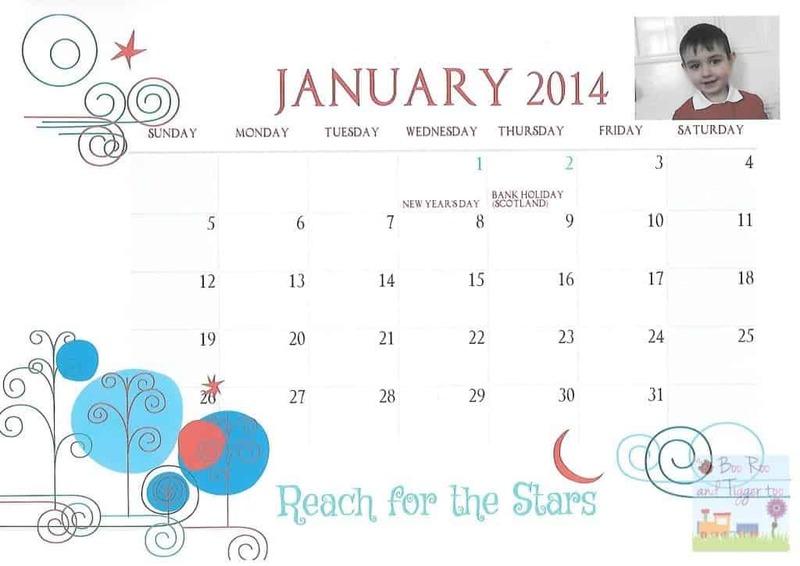 I thought that the ‘Reach for the stars’ calendar was quite apt for logging all of Tigger’s pre-school activities. As I was printing a monthly calendar I didn’t feel the need to have the previous and following months dates showing at the top so I removed them and added a small photo of Tigger at the top so I could see at a glance that it was his calendar. Once I had printed my chosen calendar I set about adding the things that he has going on this month, thankfully there isn’t too much but I can envisage it getting a lot more fuller once the birthday party invitations start coming and more pre-school activities commence. How do you organise your child’s pre-school/school activities?